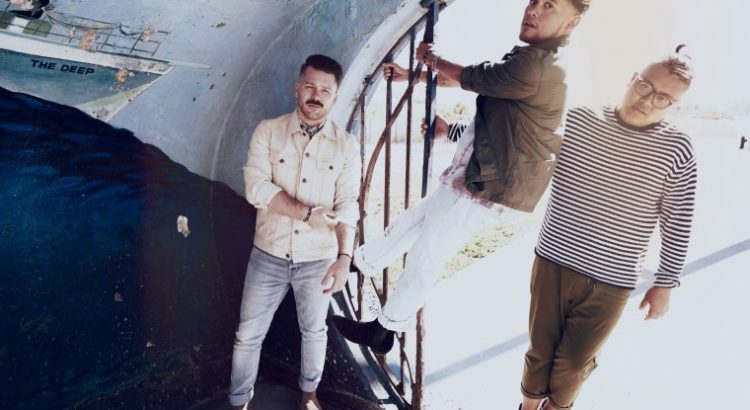 REVIEW: A R I Z O N A with Electric Guest and Mikky Ekko. Mikky Ekko seems to be the opener for musical acts just on the peripheral of mainstream, having been the opening performance for Alt-J, BØRNS, and now A R I Z O N A – dissimilar groups each with their own distinct brand of indie. But Mikky Ekko has a voice that chameleons into genres, his set list being a little bit of electronic rock, a little bit of retro vibes, some hip-hop and R&B. It’s a lot, but it’s still self-assured. Not perfect, but that’s almost the point, as he re-iterates throughout the concert that his newest album, Fame, will be an exploration of who he really is. Most of his songs roll like thunder with an electric touch, deep reverberations, no shyness with the use of instrumentation, amplifiers, percussion, and synth. Despite the strong tempo and speed, and a slight chaotic undertone in the layers of sound – it’s sort of relaxing, almost meditative. It’s a kind of specific headspace, a soothing power in the near-overwhelming magnitude that some of his songs climax towards. Listening to songs like “What’s it Like Now” and “Light the Way” are notably different experiences live. There’s a harder edge sharpened to it, a lot purer and more primitive, exhibiting a raw strength. If accidentally singing so hard that an expensive bracelet gets smashed off his wrist isn’t a testament to the intensity of his performance, then really what is. Closing with a solo rendition of “Stay,” the power in his voice also sweetens well, having the ability to cool into more delicate tones, to become tender and rich with great melancholy. With an impressive flexibility and stunning vocals, Mikky Ekko’s new album, dropping November 2nd, is worth giving a listen to. Electric Guest followed, with the very charismatic Asa Taccone rolling up with a dreamy electro-pop vibe. It’s stuff you skateboard down the streets of suburban L.A. in the summer to – a bit nostalgic, it feels effortless, light and airy despite strong instrumentation and the disses they’re throwing out to their critics in “Zero” or whatever sinful hell “Oh Devil” serenades us about. It’s multi-faceted; Electric Guest has playfully clever song writing and an almost sunny feel – fitting since their album Plural is an emergence from hibernation from the much earlier, more tepidly received Mondo. They performed well live, energetic yet laid back, with a natural stage confidence and no shakiness. Some of the particular atmospheres, the slight nuances of their songs were a bit lost to the size of the auditorium, lacking in the exactness of the feel of the studio version. 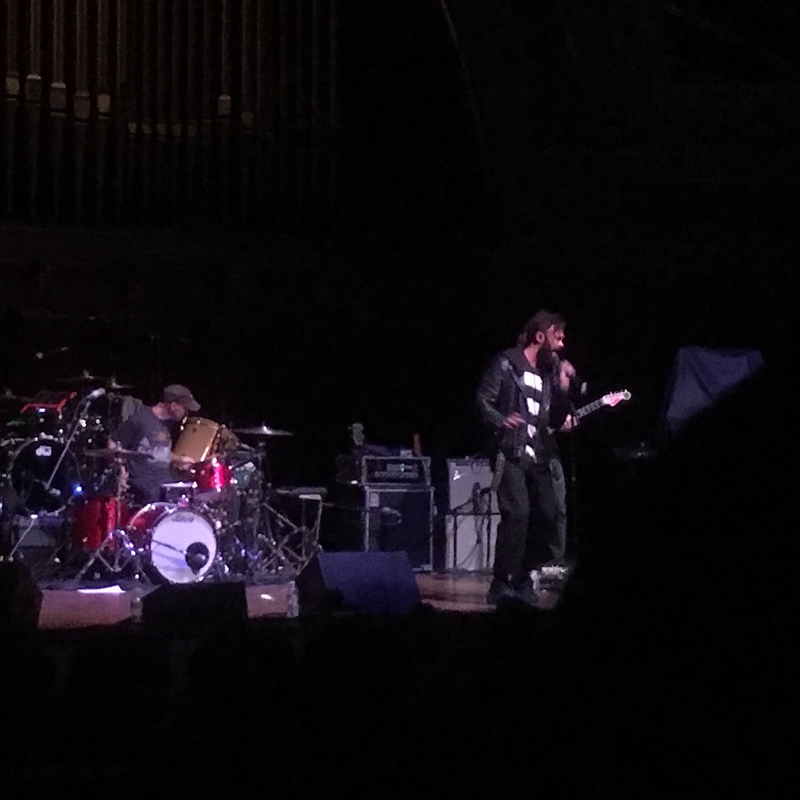 Still, Electric Guest is a good time, tremendously easy to listen to with an instinctive grab of attention and measured, evenly handled talent. More than a year after the release of their sophomore album, they continue to impress and prove their longevity. 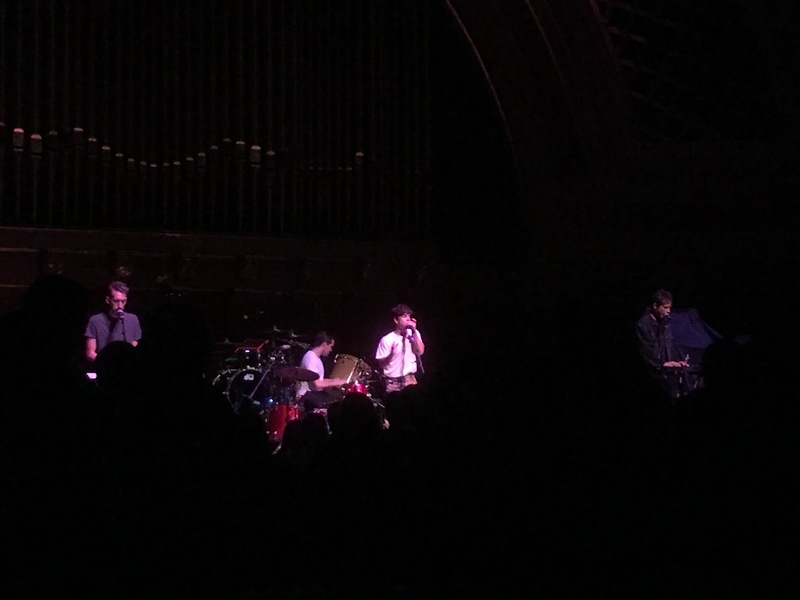 In the final hour, A R I Z O N A came on stage, with the auditorium properly filling in to come see the New Jersey electropop band. While they were certainly the headliner, I think I preferred Mikky Ekko and Electric Guest, despite having listened to probably more of A R I Z O N A’s discography previously. Not to say that A R I Z O N A wasn’t good, just that they have a less distinct musical style, less surprising and more properly pop-y. The kind of ambiance that some of their recorded songs have didn’t always translate live. Nevertheless, the rendition of “Oceans Away” was memorably beautiful, well-paced and gorgeous – a really nice slower song that I found to be more pleasant than their upbeat hits. Zachary Charles has a beautiful voice, and it’s undeniable that A R I Z O N A has a compelling stage presence. Especially on a Halloween weekend night in a college town and with added sound issues, A R I Z O N A has proven to have the kind of energy and appeal that’s magnetic anyways, a definite force that overcomes any hurdle. Mikky Ekko started the night with his synthy retro, rock music that made my heart pound as he danced around onstage. He got so into it that during one song, he unfortunately broke a very expensive bracelet. However, that just proves how much of a show he was putting on for us. Mikky Ekko ended his set with the hit song he co-wrote and performed with Rihanna, “Stay.” His beautiful solo rendition of it was tender and raw as he walked among the audience of the main floor, hugging people as his voice, so emotional and pure, carried throughout the auditorium, echoed by everyone else singing along. His new album comes out in a few days in November, so you can be sure to check that out soon. Then, Electric Guest took the stage, Asa Taccone being led out as a colorful mask covered his face for the first song. More people were dancing along to the electronic pop that was lighter than the previous set. 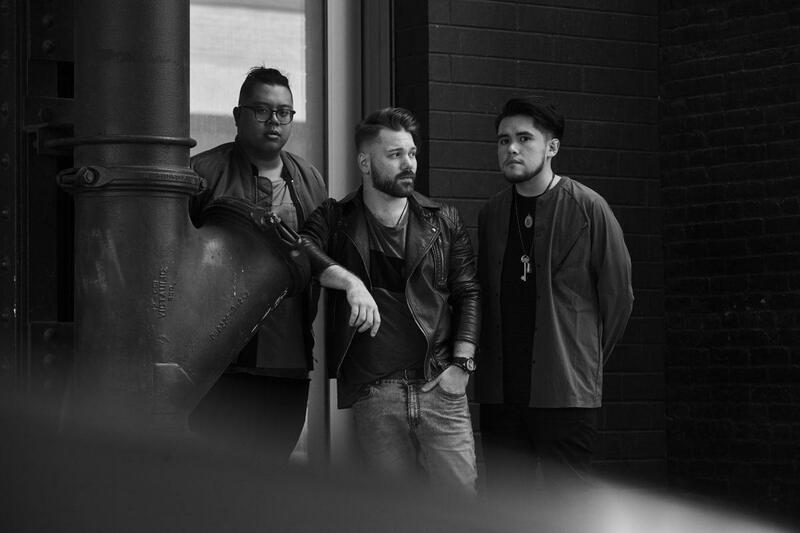 While their soulful indietronica was a slightly different vibe from Mikky Ekko, the two openers had their own style that made the entire show cohesive and enjoyable. Finally, the crowd was fully energized and when A R I Z O N A came out, everyone was on their feet and dancing as the main act performed all their hit songs, including “I Was Wrong”, “Oceans Away”, “Cross My Mind”, “Let Me Touch Your Fire”, “Summer Days”, “Freaking Out”, and more. Despite a PA system problem during their third song, the band carried on with poise, whether it was by playing guitar and singing despite no one being able to hear, playing on with the drums since that’s the only thing people can hear, or just dancing around on stage, making the best out of an unfortunate situation for a live music concert. In between songs, lead singer Zachary Charles went into a long monologue about their struggles and perseverance as a band who followed their passions. He urged everyone to follow their dreams and do something they love because otherwise, they are wasting their lives. The amount of fun and joy the members of A R I Z O N A, as well as Electric Guest and Mikky Ekko, had onstage was proof enough that listening to what you truly enjoy doing, even if other people are doubtful or discouraging, will result in you being happy and content, and in this short life, there’s nothing more important than that. 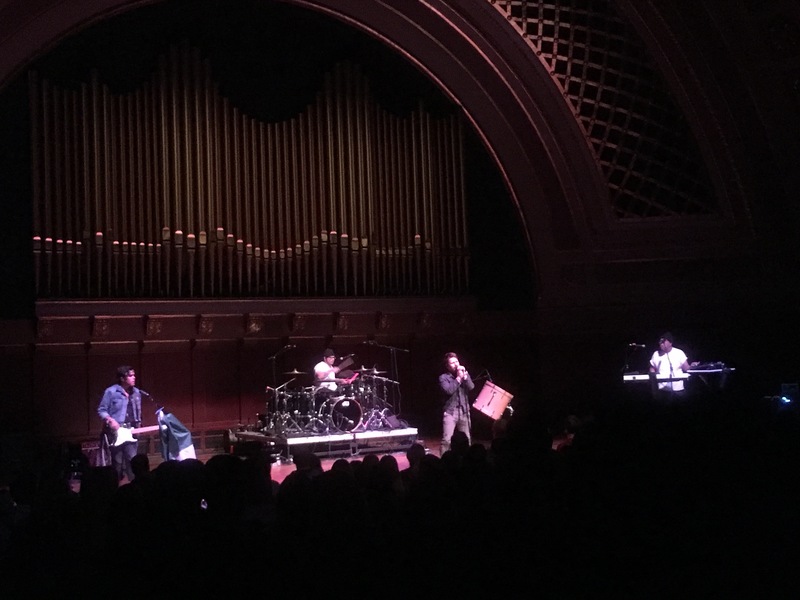 The night was filled with dancing and passion and singing and joy and inspiration, and what more could you want from a concert on Halloweekend?